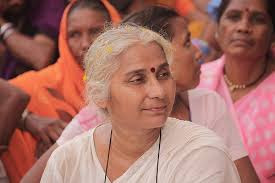 When Medha Patkar found of Narmada dam's gates "closed"
Medha Patkar: They can’t do it… But let me first start off with how many oustee families, in our view, have been resettled in Gujarat, which is obliged to provide a house and a five acre land to any oustee family, whether from Gujarat, Madhya Pradesh (MP) or Maharashtra. They are in all more than 11,000 of them – 5,500 from MP, 5000 from Gujarat, and 750 from Maharashtra. Even they have been partially rehabilitated. A large majority of them have been given poor quality land, and many do resettlement colonies don’t have access to drinking water. Not without reason, they are protesting at Kevadiya Colony since July 12. Q: What about MP, which has the largest number of oustees? How many of them have been resettled? A: In all, there are 192 villages, including 125 big ones, plus a town, Dharampuri, which will be submerged in case the gates are closed. Even at the present 121.92 metres reservoir level, 177 villages were found to have been affected during past monsoons. This suggests the type of havoc these villages would be subjected to once the dam’s gates are closed. Situated next to Narmada river, 17 of these villages of Dhar and Badwani districts were almost fully submerged during the 2013 monsoon. A large number of them tribals, their standing crops were destroyed. Over the last three years, however, there wasn’t much flooding. Q: So have the oustees of these villages not been resettled? A: It is a meticulously prepared report, which the MP government was unwilling to release, but it is now publicly available, thanks to our legal intervention, first in the state’s high court, and then in the Supreme Court. The report reveals a major nexus between corrupt government officials and unscrupulous agents. Under the 2005 MP award, the oustees were to be given half the Rs 5.5 lakh as cash. Rest of amount was to be paid later once the farmer buys up land. First of all, Rs 5.5 lakh was grossly insufficient. Secondly, many oustees were paid the first instalment, but not the second one. Worse, the Jha Commission found as many as 1,589 false registries and wrong transactions in four districts – Badwani, Dhar, Khadgaon and Alirajpur. The report has details of how unscrupulous agents would sit in government offices and fix up land for the oustees some 100 or 200 km away! All that the innocent tribal was forced to do was give thumbs impression as consent. In some cases, unscrupulous elements occupied the land the tribal oustees supposedly had bought for the money they got from the MP government, allegedly against the debt they might have taken decades ago. In all, 999 were false registries, and the rest were wrong transactions. This is out of 3,600 registries which the Jha Commission assessed. Q: Is that all that the Jha Commission found? A: For seven long years, it looked into five major issues: Fake registries, corruption in quality and quantity of the construction works at 88 resettlement sites in MP, housing plot allotments and reallotments, payment of compensation to the ineligible and livelihood grant to landless oustees. It’s a voluminous work, running into thousands of pages. How can one say it’s shoddy? Each case was thoroughly checked. Q: So in case the MP government settles the issue of false registries and false transactions, can the Gujarat government go ahead with closing the gates? A: It cannot. There is an MP high court stay on evicting oustees from 20 villages of Dhar and Badwani districts under the 2013 land acquisition Act’s Section 24(2), which says that nobody can be dispossessed of their land without consent. Let me recall – even earlier, when tribal oustees were dispossessed, the Panchayats (Extension to Scheduled Areas) Act, 1996 was not applied. This law makes it mandatory for tribal gram sabha nod, without which no tribal can be evicted. Q: Is the MP government cracking down on false registries? A: No. It is instead harassing the poor, many of whom tribals, for “allowing” themselves to be fleeced. Arrests began in August, but the cops swooped on those are the victims of the scam. An 85-year-old tribal woman, for instance, was picked up in the wee hours from a village. Q: Are these 1,589 oustee families being offered land? A: No, none have got any land so far. While the Government of India has repeatedly sought Action Taken Report on this count, the MP government is simply silent. Add to this about 1,500 other oustee families who took half of the Rs 5.5 lakh, but could not buy up land with that amount. This makes a total of 3,000 plus. We think a closer examination would increase the number to 6,000. A: Yes, there are 15,946 whose names have been suddenly excluded from the list of oustees. After 2010, the Narmada Control Authority (NCA) set up a committee to examine the backward levels. This committee had just one expert – a Central Water Commission engineer. It reached the conclusion that at the FRL of 138.64 metres of Narmada dam, as many as 15.946 families, earlier counted as oustees, wouldn’t face submergence. Hence they need not be resettled. 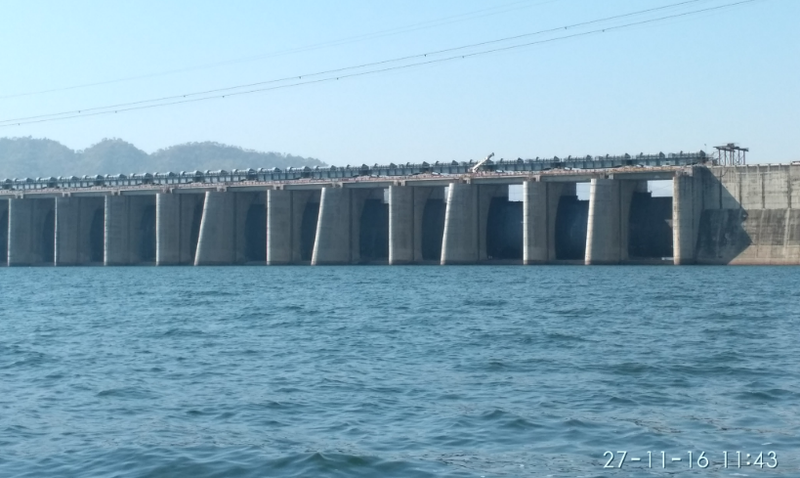 The conclusion was reached by suggesting that the submergence level of water at the dam’s FRL would be a metre less than what was earlier estimated. Q: You don’t think this is a correct assessment? A: We have made public photographs which show that the NCA assessment is wrong. When we tell them about this with evidence, they say these oustees will face only temporary submergence. What an argument? So, in all, we think, at least 20,000 need to be resettled and rehabilitated before the installed Narmada dam gates could be closed. Let me add: There is also the case of another 4,374 oustees, who were declared ineligible. This also needs to be looked into. Q: What about other issues which the Jha Commission has looked into? A: The resettlement sites are of poor quality, not livable, one reason why the oustees refuse to live there. There are no basic amenities. One has to only see the report, “Evaluation of the Quality of Civil Amenities at Rehabilitation Sites of the Sardar Sarovar Project”, prepared by the Indian Institute of Technology, Bombay. Besides, virtually nothing has happened on the livelihood front. A: Already, the Gujarat government has played mischief. 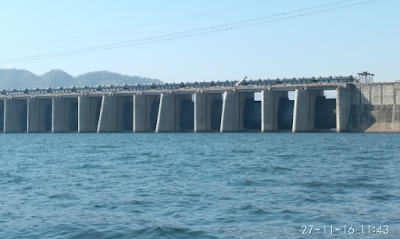 On November 27, when I was there, sailing towards the dam from the other side, we found that the gates were closed. How can the government do it? It doesn’t have the permission. When we inquired, the answer that we received was – it was done for repair work. It’s a specious argument. Can’t they do repair work without closing the gates?